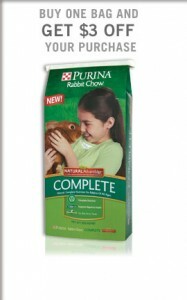 Save with the Purina 60 Day Challenge! Click to learn more! Your love your small animals, and so do we! Rabbits, gerbils, birds, chickens and more, Mansfield Feed has all your small animal and pet needs. From food to supplies, you can find it at Mansfield Feed Mill. Ask any of our friendly staff, they are here to assist you with your purchase and any item you may need. Would you like to save money on your animal feeds? Consider signing up for the Purina Difference Rewards program. This FREE program provides customers with quarterly coupons on animal feeds YOU select. See the difference Purina Feeds make AND SAVE MONEY! Click here to find out more, sign up and save money. Don’t forget about pet supplies! Mansfield Feed Mill has cages for birds and rabbits, hamster & guinea pig houses.